In my many years of experience, I've seen a few aspects of third party family building get neglected. With surrogacy in particular, it's of course very important to secure everyone's health, make sure everything is legally in order, and that both the administrative and overall logistics are in place. However, there's a factor that I highly recommend incorporating into the surrogacy process: Perspective. This means that whether you're a surrogate or the intended parents, I find in order to have the most ideal surrogacy experience (not to mention mentally healthy) is when each side fully appreciates what the other person's perspective is. Let's start for a moment with the intended parents. They need to appreciate that when someone is going to be their surrogate, they are essentially agreeing to put their life on hold from anywhere to a year, to fifteen months to two years. IVF cycles and the resulting embryos don't always implant the first time they are transferred. Sometimes, unexpected delays come up. It's no understatement to say that signing up for surrogacy is a long marathon, and not anywhere close to a quick sprint. 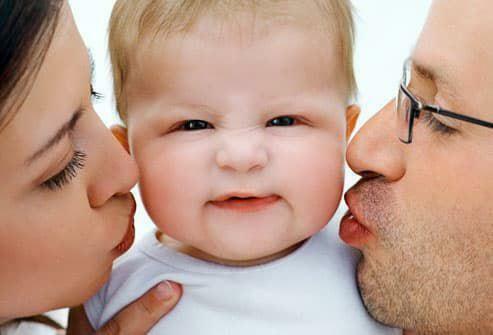 In addition, being a surrogate will impact their job, their family life and their freedom. Granted, this may only entail minor inconveniences like an increase in appointments (medical, legal, etc.) but in some cases, the surrogate may need to be on bed rest. Every measure is taken to ensure the health and safety of the surrogate and the child, but there are always health risks to consider. In my list of questions that I ask every interested surrogate is if they will have the full support of their family, and how their will job feel about them taking on this enormous responsibility. As the saying goes, it takes a village and everyone must be on board. I had one surrogate not be able to attend a family reunion that was going to be a lovely cruise because the destination was a Zika known location. When you're pregnant, whether it's your biological child or not, you cannot go. Period, end of story. I had another surrogate who was unable to attend a close family member's funeral because she was 9 months pregnant and close to delivering. Again, when being matched with a surrogate, you appreciate there will be more doctor appointments than usual, that they will be agreeing to the aches and pains that come along with pregnancy but just how much the everyday life details will affect them isn't always taken into consideration. When it comes to the surrogate understanding the Intended Parent's perspective, it's just as vital. One of the requirements of being a surrogate is you've have one or more successful pregnancies/live births. This means that every surrogate I've worked with has children of their own. What I explain to them is this: Imagine I'm going to take your youngest child from you for the next 9 months. You will have little say or control during that time, and you must trust me completely that I'll bring them back to you in a completely healthy state. Surrogates need to empathize with the magnitude of emotions and concerns that are a part of literally releasing their child to someone else for a period of time. We're all human and we all should make sure we take care of ourselves and needs to be the best we can be for our loved ones and our health. Still, when it comes to surrogacy, it's a group effort and learning the other person's perspective and where that person is coming from can be the difference between a stressful surrogacy and a smooth sailing one. Empathy and compassion go a long way. And while it may seem like a lot of people involved and a lot of sacrifice on all sides, when it comes to bringing a new life into this world, it's always worth it.